Do you remember those fun bottles of blow bubbles that came with a flimsy plastic wand? If you were lucky, you’d get a rare ginormous bubble that wafted a few feet into the air before it dissolved into nothingness. Well, Gloria Allwin remembers those happy days and she proves that you’re never too old to tap into your inner child. 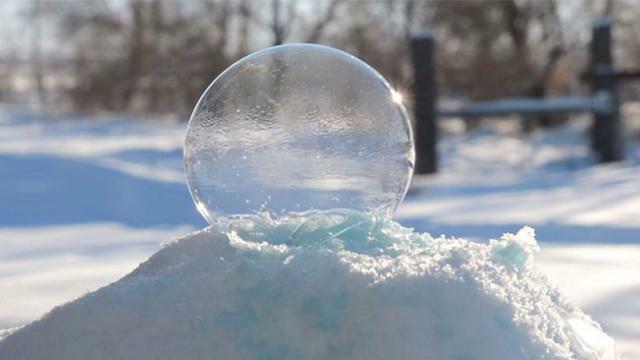 She recorded this video of a perfectly round soap bubble that she created, which was gently placed onto a mound of snow. Then she sat back and watched an amazing transformation take place. Thankfully she recorded it for all of us to enjoy, too. At first, the delicate bubble wobbles to and fro, and it looks like it’s going to blow away in the wind. That’s when you realize this poor little baby bubble might not survive the harsh winter air. Awww! Yes, please don’t pop little bubble friend, because we want to see what happens to you, too! 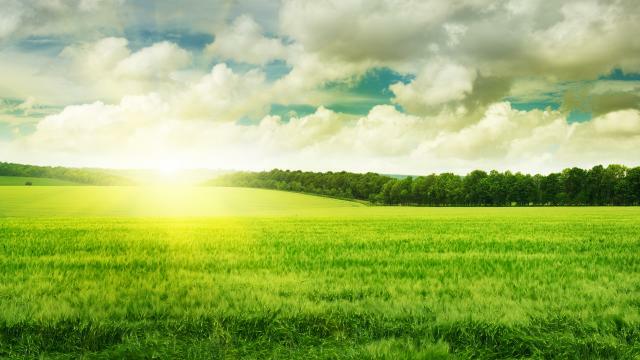 The air was freezing, but instead of protecting it from the elements, Gloria let nature take its course. You know those documentaries about the ice age where you see an animated visual of ice slowly covering the continents? That’s what this looks like. It certainly gives new meaning to snow globes! On her YouTube channel, Gloria said, “Five degrees, little breeze and sunshine – a bubble can freeze in 1:27 min. Montana Fun!” This is more than just incredible fun, it’s absolutely stunning to see the bubble go from a liquid to a solid.